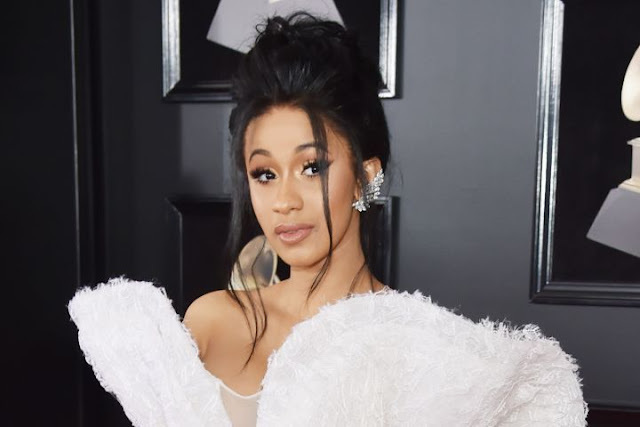 After giving birth to a baby girl recently, Cardi B has taken the No. 1 spot once again in the Rhythmic Songs airplay chart. The chart was topped by herself as ‘Be Careful’ was No. 1, but now her new song ‘I Like It’ with J. Balvin and Bad Bunny has replaced it. According to Nielsen Music, ‘I Like It’ gained 19 percent in airplay, as it climbed 2 places up the charts from No. 3 to finish at No. 1 in the rankings. The last person to achieve a similar feat was Rihanna who was at the top of the chart, when she featured alongside Bryson Tiller in ‘Wild Thoughts’ by DJ Khaled for a total of nine weeks. The song was then eventually displaced by ‘Loyalty’ by Kendrick Lamar, in which Rihanna featured again and gained top position in September of last year. Cardi B is the first act to have that honor since then. Rihanna was also the last person to have replaced her own song in a lead role, back in the year 2010. The song ‘What’s My Name’ that featured Drake went on take the No. 1 spot on the chart dated Dec. 25 of 2010, by replacing her single ‘Only Girl (In The World)’. The former song saw its first nine weeks at the top of the Rhythmic Songs airplay chart. The song ‘I Like It’ has helped Cardi B obtain the top spot in the chart for the fifth time in her career. She has previously managed to lead the rankings with ‘Bodak Yellow’ or otherwise known as ‘Money Moves’ that dominated the rankings for four weeks, a feature appearance on ‘No Limit’ by G-Eazy saw her achieve a similar feat for two weeks, ‘Finesse’ on which she collaborated on with Bruno Mars stayed at No. 1 for two weeks as well and ‘Be Careful’ that was at the summit for a period of only one week. Bad Bunny and J. Balvin have also notched up their first No. 1 in the Rhythmic Songs chart, with the latter having a previous best of No. 2, when he got his ‘Mi Gente’ by Willy William that also featured Beyonce.